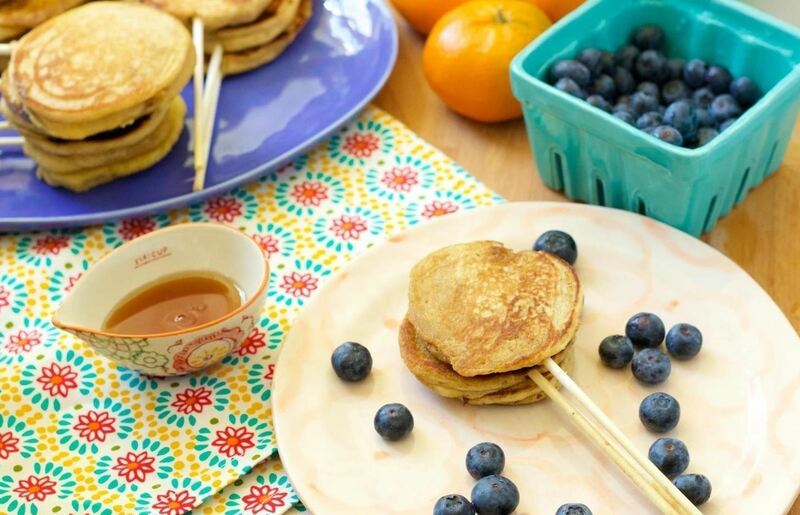 We've both had a fondness for pancakes since we were kids; The way the smells of syrup and warm batter permeated the kitchen and lingered for hours drove us crazy—and still does. Recently, we started to notice that when we had guests over to indulge in pancakes for brunch, they always wanted to be standing up, casually talking and enjoying their meal. But pancakes and syrup on a plate made it difficult (and messy) to do so. 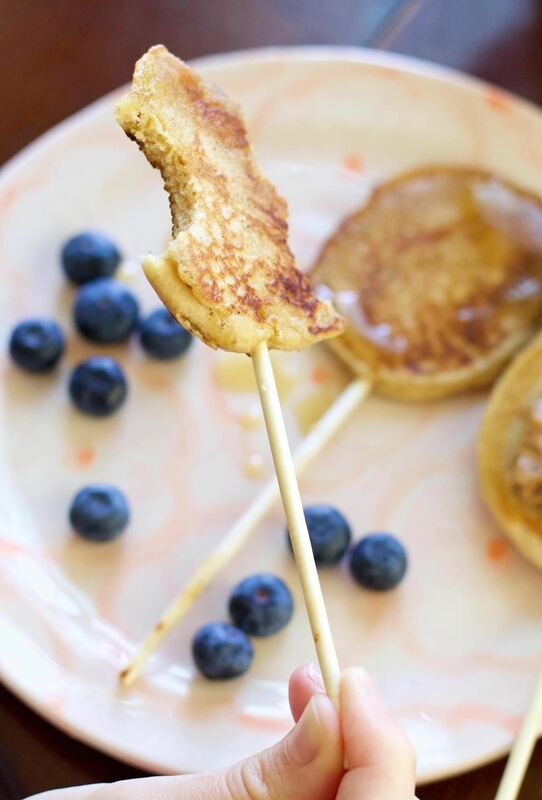 Pancakes on a stick are not only festive and super fun, but they enable the eater to be free of utensils and lets them hold something in the other hand (you know, like a mimosa). You'll want a batter that is not too runny (which will be difficult to mold around your stick) and not too thick (unless you want lollipop biscuits). We followed a recipe on Allrecipes, but with roughly ¼ cup more milk. 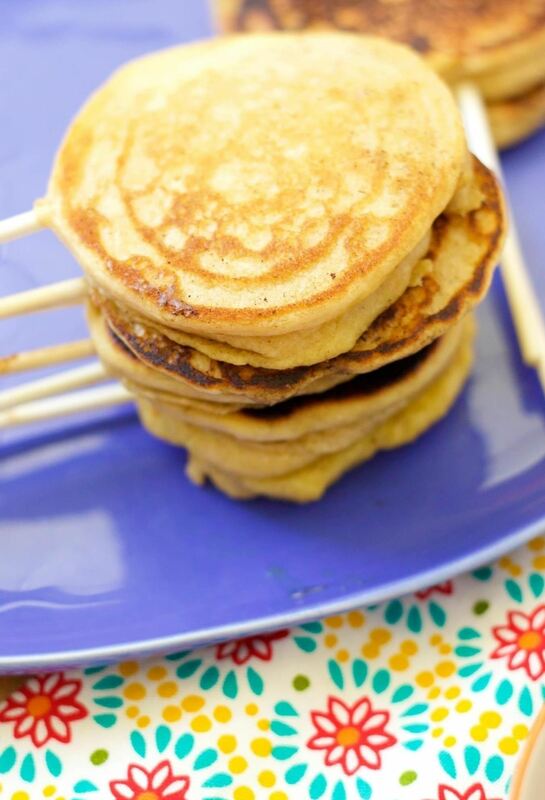 You could also use store-bought pancake mix, or better yet, your own homemade pancake mix. 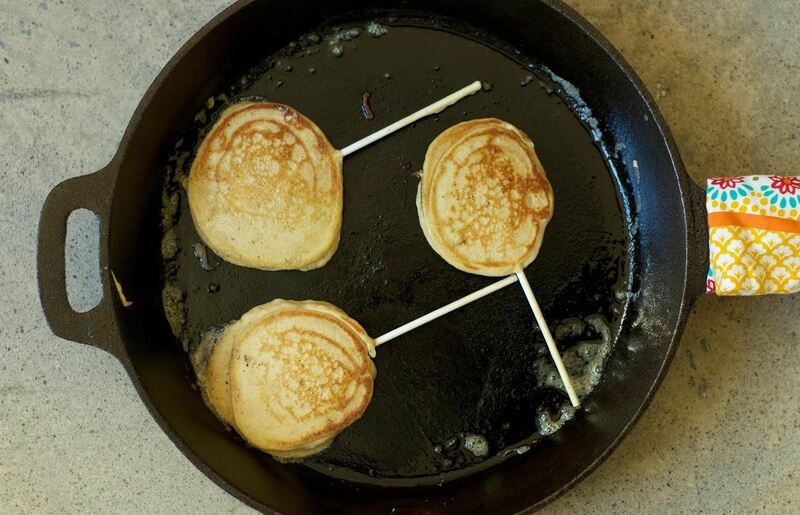 We ended up with about 20 pancake lollipops, some medium-sized and some small. 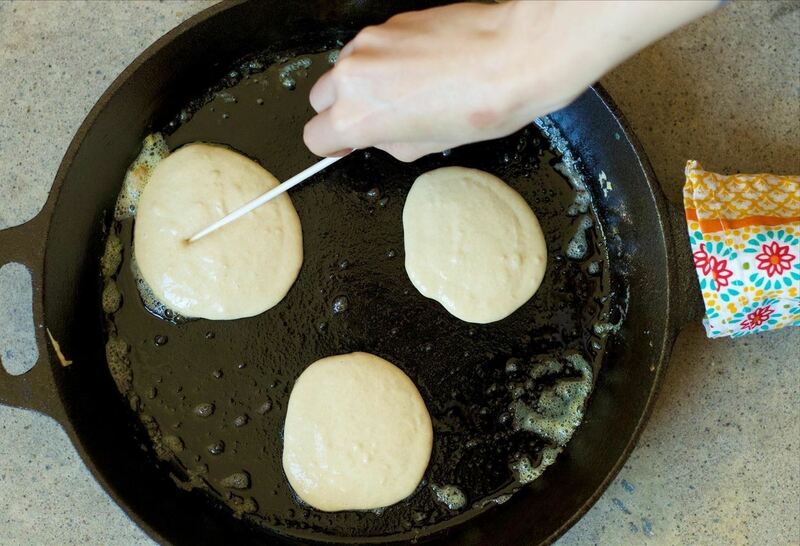 Pour your pancake batter onto a hot skillet with butter (as you would with normal pancakes). We used a stainless steel, spring release dough scoop to get our pancakes looking uniform (a smaller scoop of about 1 Tbsp. for the tiny lollies and a larger scoop of about 2-3 Tbsp. for the medium-sized lollies). 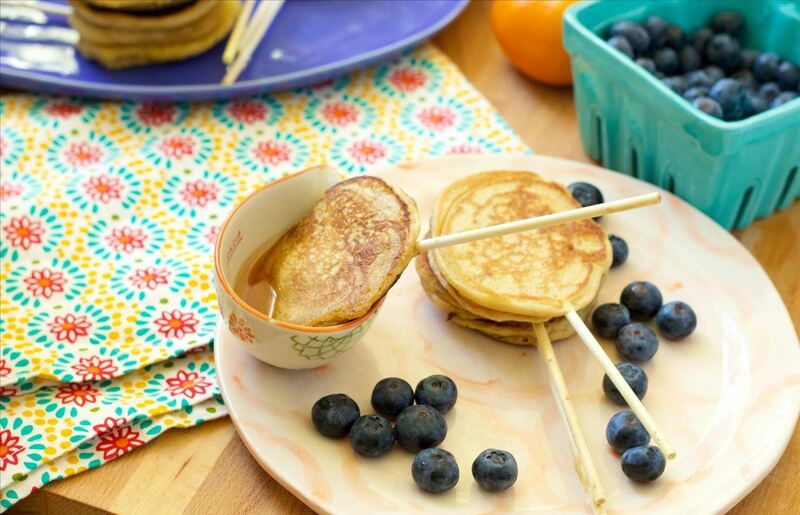 We found about 3 pancakes per round was good, to give us enough room to flip once the sticks were placed. 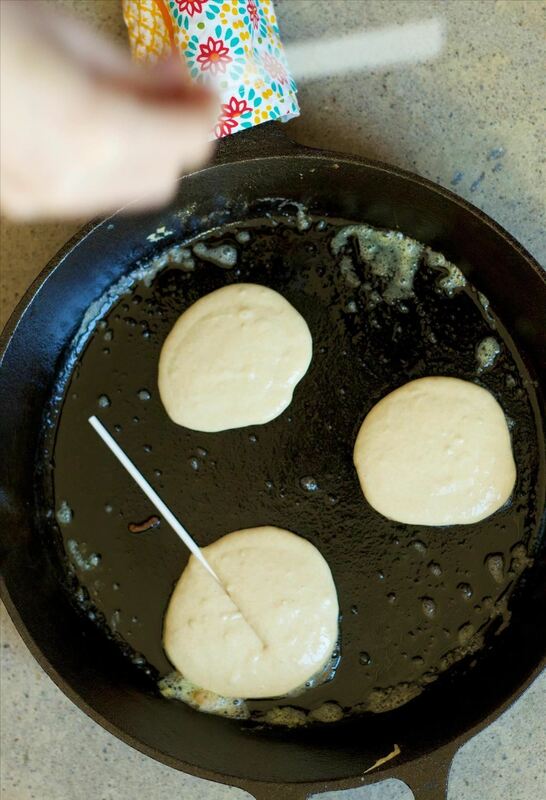 As soon as you get your batter poured onto the skillet, place your sticks on top of the batter, directly in the middle. 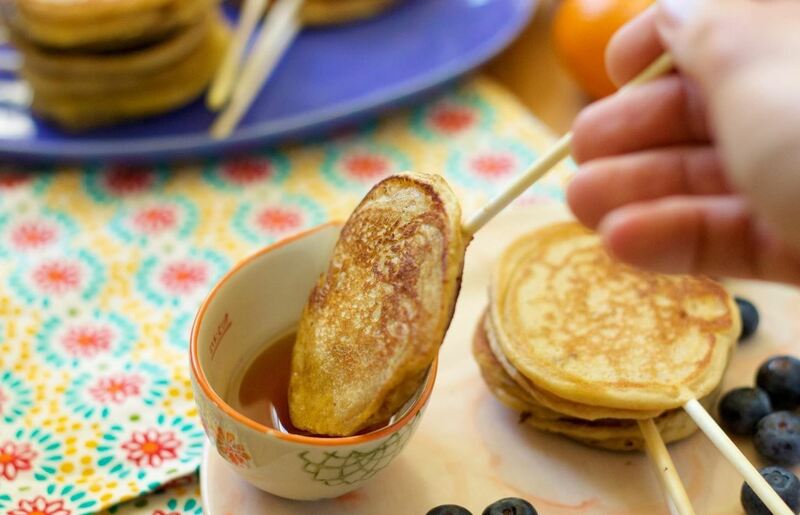 You'll want to make sure you go up at least halfway (preferably, ¾ of the way) to ensure that the sticks support the pancakes. Simply set the stick down and give it a light press, so that the batter covers it. If you'd like, you can even add about a teaspoon of batter to the top and smooth it over, to avoid the stick line. 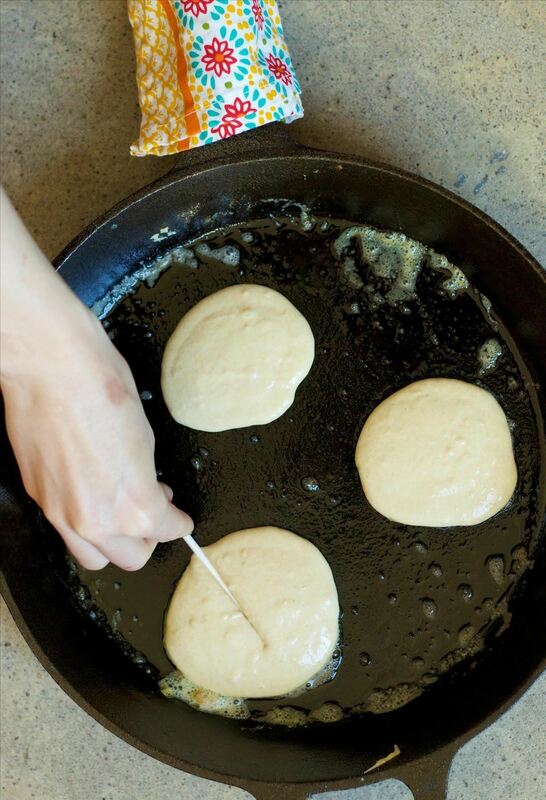 Once the pancakes look like they're bubbling and ready, carefully give them a flip. You can use one hand on the stick to guide them, just be careful, as the sticks will be warm. We found that if we hesitated while flipping, our lollipops tended to veer off their sticks, so just go for it! You'll be able to get lots of practice in with a big batch, and so long as they remain on the stick, it's fine if they aren't all perfectly circular. 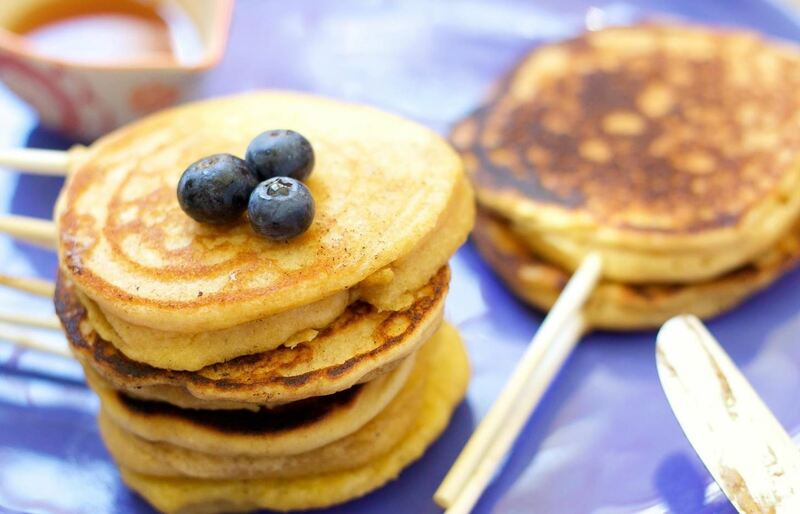 Once your pancakes seem to be heated all the way through, remove them from the heat and repeat the process with the remaining batter. When finished, arrange your lollipops as you please and enjoy! These are especially great when set out with dips of all kinds. 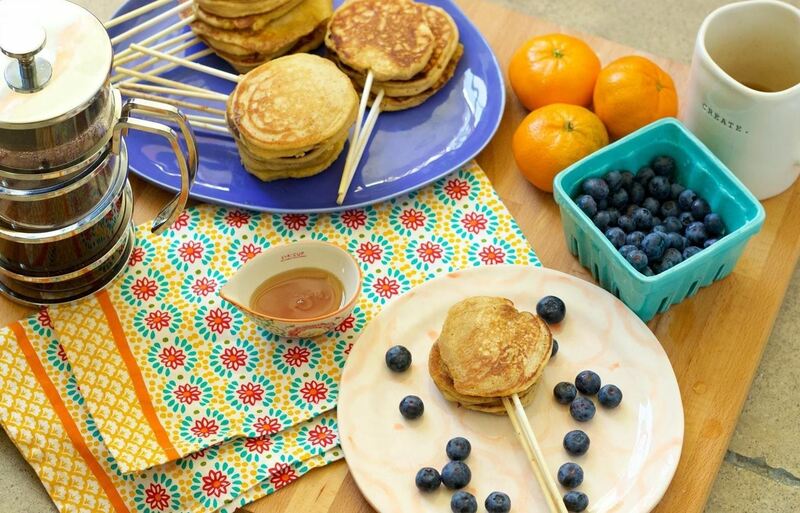 So, the next time you set off to create a pancake brunch, opt for the ever-festive, always-fun, pancake lollipops. They're a breeze to make and they're just as easy to eat. 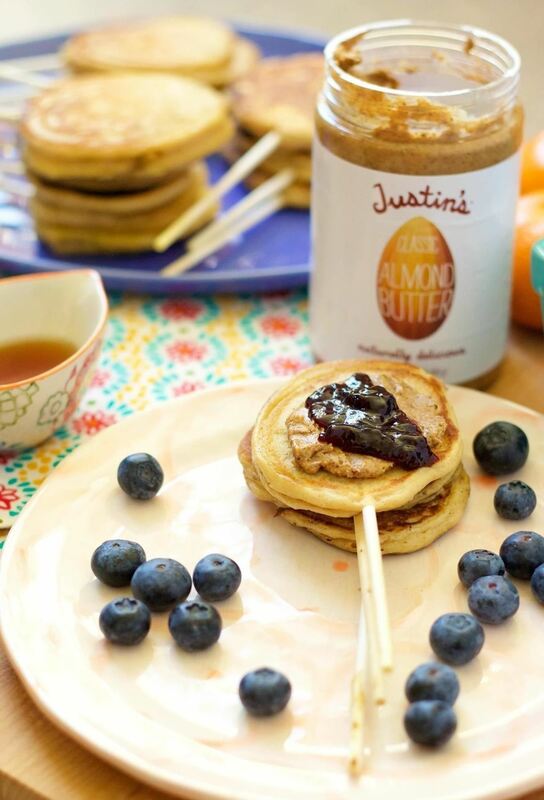 What are some of your go-to brunch items? And, may we eat them on a stick?